Less than three years after St Bride’s, Fleet Street, one of Sir Christopher Wren’s most famous buildings, was advised against applying for lottery money to save its famous spire from collapse, the church has once again been refused assistance from the Heritage Lottery Fund. Having gambled with the very survival of St Bride’s, one of the earliest of the 52 city churches built following the Great Fire in 1666, the Heritage Lottery Fund, advised by English Heritage, appeared to be more favourably disposed to an application submitted in September 2014 relating to the development of a Wren Centre at the church. The application outlined an ambitious project to “reconfigure and refresh the crypt to create an exciting new exhibition space with digital interactive educational models on a range of topics”. 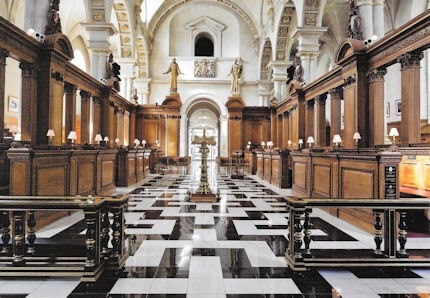 Accordingly, St Bride’s, in its September 2014 application to the HLF, looked beyond its urgent structural issues and Mr Smith explained the church’s strategy to: “tie it in with the work we might be doing in the Wren Centre so that the public benefits, the international benefits, the benefits for the immediate community are seen holistically, that’s one of the ways it affects the approach.” Nevertheless, Gerald Bowey, Chairman of the INSPIRE! 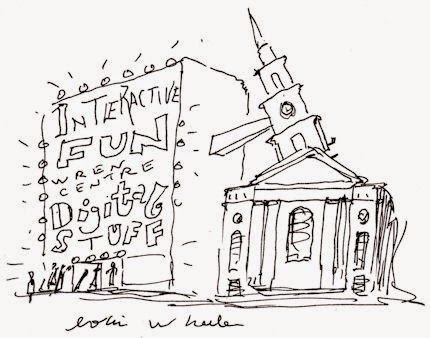 Wren Centre Legacy, is adamant that St Bride’s was not pressurised by the HLF or EH to broaden their ambitions beyond securing the church’s failing fabric, in order to meet these new criteria. “English Heritage intimated that there is nothing wrong with a business plan and there is nothing wrong with footfall, but they certainly didn’t labour it.” Even so, HLF guidelines make it clear that unless proposals include schemes like the Wren Centre, designed to attract greater numbers of visitors, they will simply not be considered. In the event, despite submitting an application that seemed to fulfil the HLF’s new criteria, the St Bride’s application was rejected in December, but Mr Bowey is confident that it will be resubmitted in June this year, describing the queries raised by HLF as “not insurmountable”. 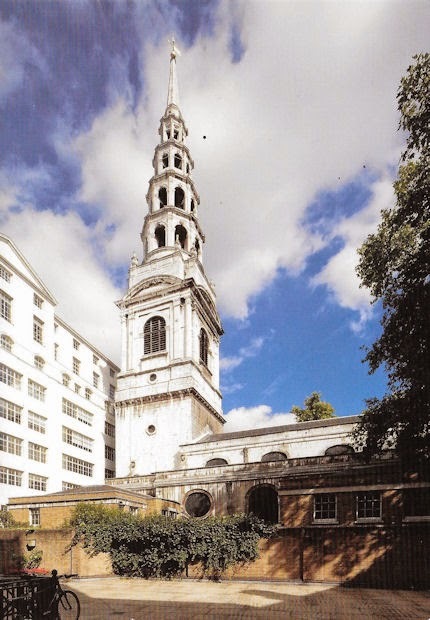 While St Bride’s may yet receive money towards its Wren Centre project, it remains the case that in order to sustain this historic church, whose significance extends far beyond that felt by its congregation, it has had to rely entirely upon its own fundraising efforts despite being on the at risk register, and despite the perilous state of the spire in 2012. Adrian Ward, of builder Baker’s of Danbury, confirmed the extent of the problem, describing the spire as having had “bits falling off it” and that prior to repair, the possibility of the building having to be closed down was “realistic”. Gerald Bowey is remarkably philosophical about the stance taken by the HLF in 2012, perhaps because he is confident that St Bride’s will eventually receive funding. Nevertheless, he said: “the wet fish in the face was being told that ‘we do not sustain church buildings.’” However, according to the HLF, communicating via the English Heritage press office: “St Bride’s was discouraged from applying for that particular grant because the restoration work had already started so the proposed project was ineligible”. However the HLF may presently choose to justify its decisions, for now, St Bride’s remains on the at risk register, relying on its own fundraising to address pressing structural issues like the restoration of the outside walls. Mr Bowey said: “Other areas of the church structure are being attended to on an add hock (sic) basis where a temporary repair is usually effective. We continue our fund raising activities, which is slowly adding to the contribution we would need to make in any case to the overall cost of the major works”. Florence Hallett is a writer and a critic at theartsdesk.com. Cartoon by Colin Wheeler (colinswheeler@gmail.com). This entry was posted on February 18, 2015. It was filed under news.